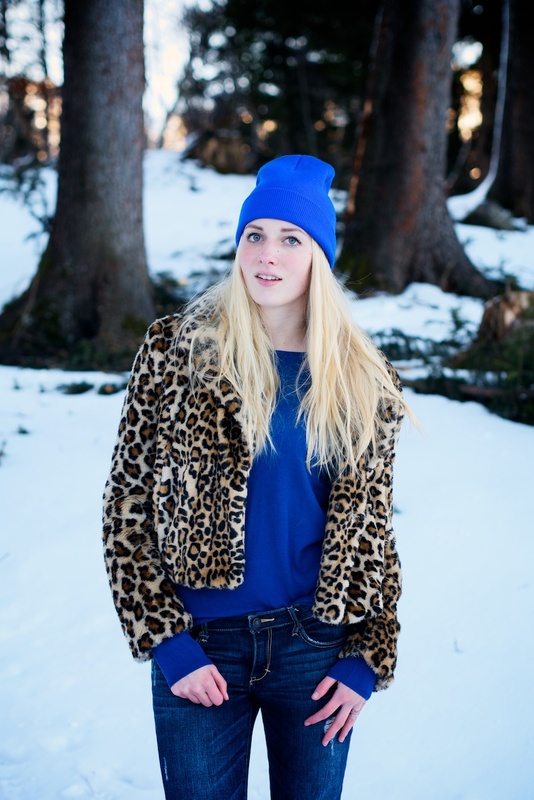 Die leopard coat staat je echt super! aaaah ik heb dezelfde jas en ga daar toevallig vandaag ook foto's mee maken! ;) Hij staat je super leuk. I like that blue! It looks really good on you. Die blauwe kleur staat je super! mooie outfit! dat blauw staat je echt super mooi! My fav color is also blue. I love all your furs. Die kleur blauw is zo mooi! The prettiest blue I've ever seen! Love your outfit! I usually pair leopard with red, but the bright blue totally works too. You are so gorgeous! The blue definitely brings out your eyes. I would wear that color all the time if I were you! Love that shade of blue on you! It really brings out your eyes. I understand why you adore blue so much, it totally compliments your eye color! :) oh and let me tell you I'm literally dying right now over that drop dead gorgeous background! i want to live in a place where it snows as well! Electric blue is my favorite color and so i'm really in love for this outfit! Your beanie is so freat! The blue accents in your outfit bring out your eyes so much it's mesmerising! They are the bluest of blues. You look truly amazing, love the pop of blue on you and you definetely too much pretty! Love leo with bright colors..
Beautiful color blue... goes so well with the snowed scenery! Leuke outfit! Dat blauw staat je goed!